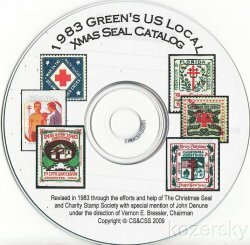 Desert Mission 445-464, Desert Mission TB Charity Seal Collection F, MNH. 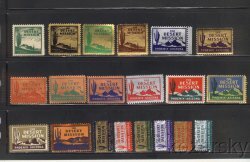 This seal collection contains 20 different seals, which were issued from 1934 to 1954, by the Desert Mission, Phoenix, AZ. Desert Mission 445-464, 1934-54 Desert Mission TB Christmas Charity Seal Collection, F, MNH. Collection is comprised of 20 different seals, which were issued from 1934 to 1954, by the Desert Mission, Phoenix, AZ. Greens Catalog #s: Desert Mission 445-464. Scan is an example of the contents of the collection.